Better than take-out, and nearly as easy! 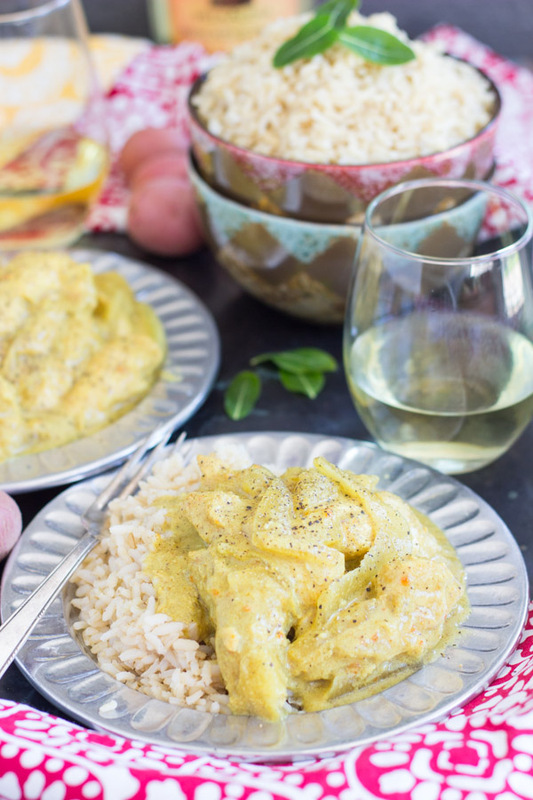 With only a handful of ingredients, this Slow-Cooker Coconut Curry Chicken is one of our favorite weeknight dinners. 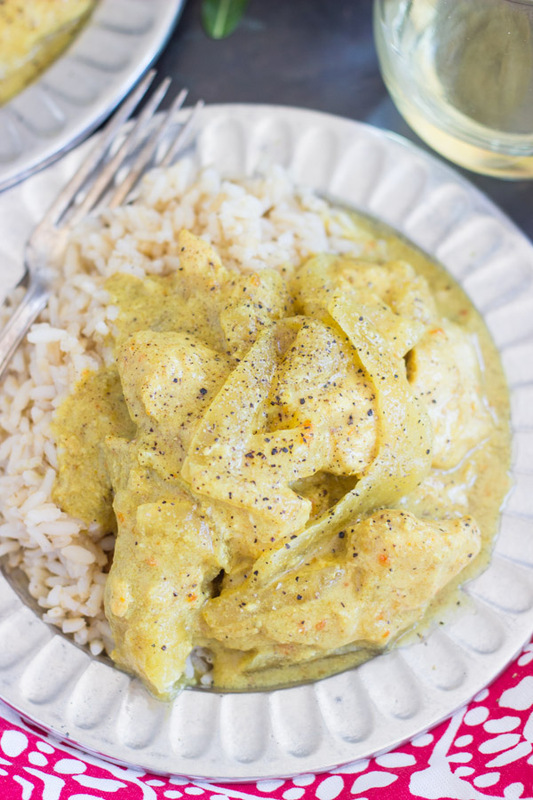 My Slow-Cooker Coconut Curry Chicken is one of our favorite go-tos! 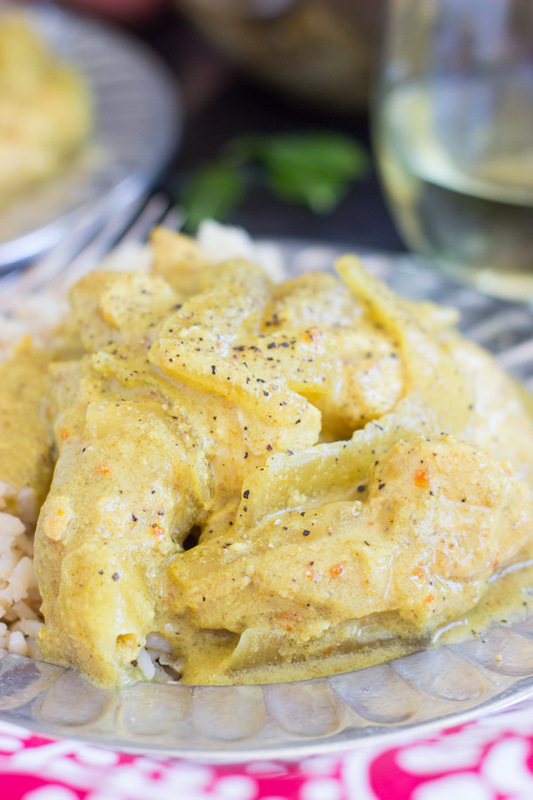 This Slow-Cooker Coconut Curry Chicken has an interesting backstory. Fun fact (that’s really not all that fun): I hate seafood. I mean, I hate seafood. I loathe it all, and I loathe it a lot. I don’t share a ton of savory stuff to begin with, but one thing you will never see here is seafood. But I’m happy to refer you to some of my blogger friends if underwater creatures are your thing. There’s a Thai place a few miles from us that we were introduced to by friends. For a few months, we ordered take-out from them on a weekly basis, sometimes more. Their food was killer. 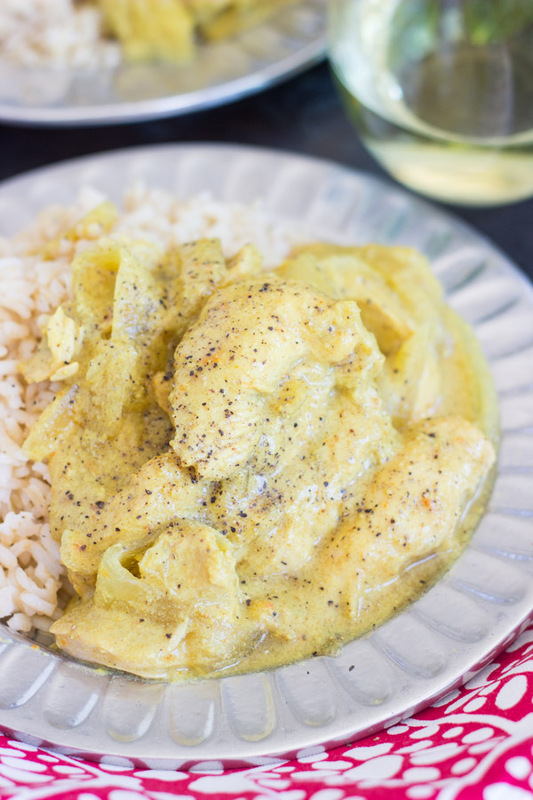 I was absolutely obsessed with their Coconut Curry Chicken. I was specifically in love with the sauce. So much so, that we would actually call and order containers of the sauce only, and we’d douse it on everything in sight. I wanted them to bottle it up and sell it. Until…. I was eating the cold leftover take-out one morning (don’t ask), and something about it cold, it tasted completely different. It was fishy! I never noticed til I tried it cold. I always naively assumed that because I was ordering a chicken dish, it probably didn’t have anything seafood or fish-related in it, but I called the restaurant to discover that the sauce contains fish sauce, of course. In my crazy, irrational, seafood-averse head, that means I can never eat it again. Blech – even just fish sauce in my food is a no-go. Just like that, I stopped eating there completely. We haven’t been back since because now it’s in my head. So I made it a mission to recreate their Coconut Curry Chicken recipe at home, sans fish sauce. 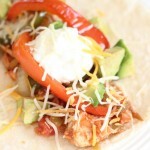 And because I love all cooking to be done in the slow-cooker, it’s a slow-cooker version, naturally. I am just as happy, if not happier, with this version. 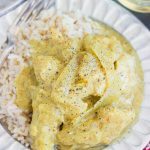 This Slow-Cooker Coconut Curry Chicken is as good as take-out, and now that I’ve mastered how to make it, I can have it at home whenever I want. This is a major win. 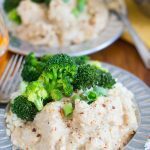 Aside from this Slow-Cooker Coconut Curry Chicken, I also suggest this Slow-Cooker Honey Mustard Chicken (my fave! 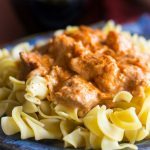 ), Slow-Cooker Chicken Paprikash (it’s soooo popular on the blog), and Slow-Cooker Thai Peanut Chicken. Just as good as take-out, and nearly as easy! 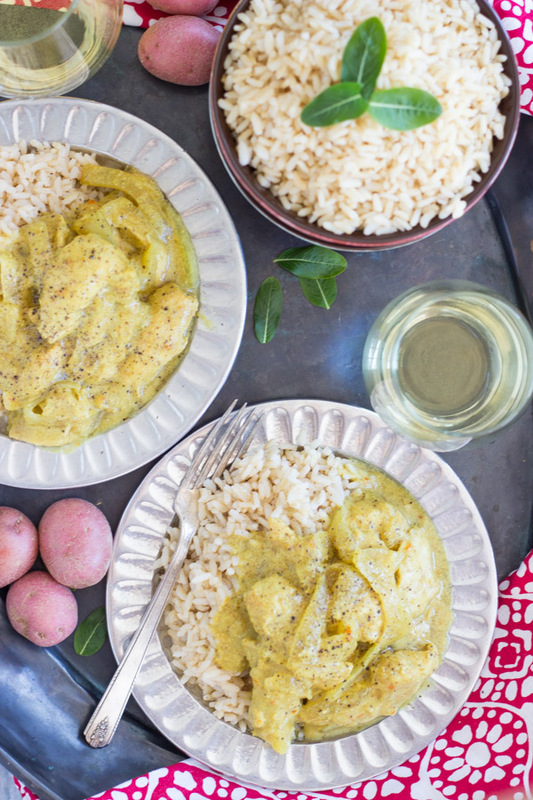 With only a handful of ingredients, this is a complete, one-pot meal! 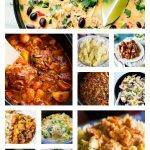 Place all ingredients in a slow-cooker, stirring to combine. 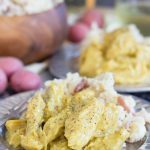 Set to low, and cook for 4-6 hours, stirring occasionally, or until the chicken is tender and shreds easily with a fork. Remove from heat, and turn off the slow-cooker. Serve hot with rice and/or potatoes. Just put this on to cook, hope it tastes as good as it looks! No leftovers! Tweaks: subbed out the onion for 1 t onion powder (I have a picky one), and threw a large chunked sweet potato into the crock. Served over leftover brown rice. By the way, the sweet potato came out perfectly (was worried about it being hard) with no added liquid. I just stirred it twice to make sure it stayed covered.